Earlier yesterday, Mr. Murray was mad for Madras. For the evening, he transitioned from plaid to rad, with a blue lapel tux. There may have been a dash of French flair in there, aussi. Note the neck tie. 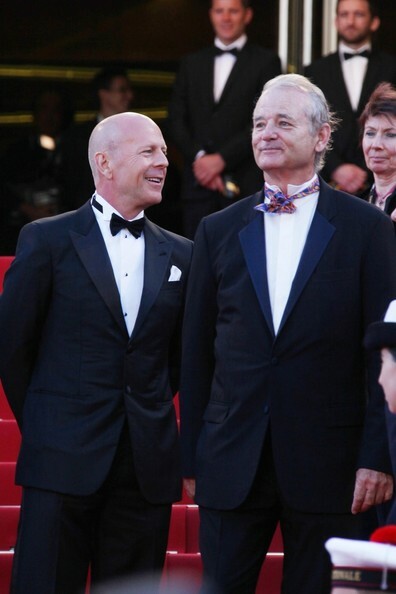 Bill Murray and Bruce Willis at last night's Moonrise Kingdom Opening Ceremony at Festival de Cannes.